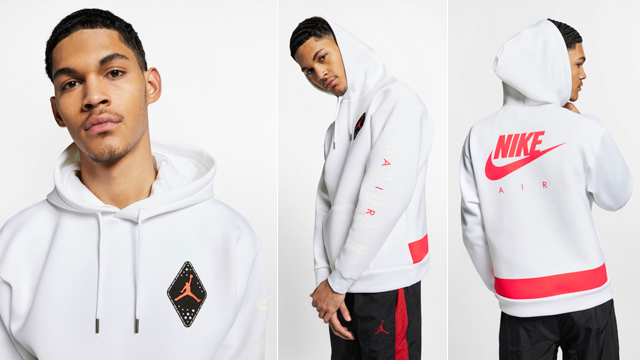 After checking out the Jordan Legacy AJ 6 Pullover Hoodie in black, here’s a look at some new images of the White/Black/Infrared color combo in the sneaker-inspired sweatshirt. 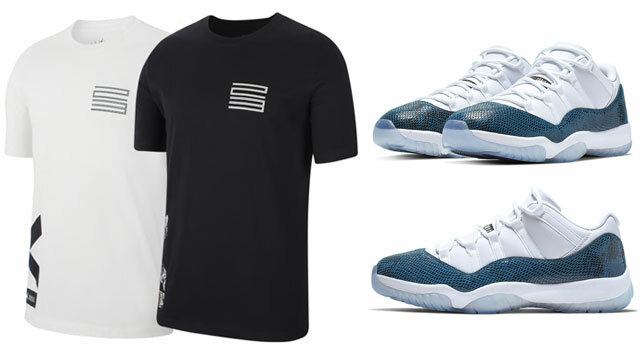 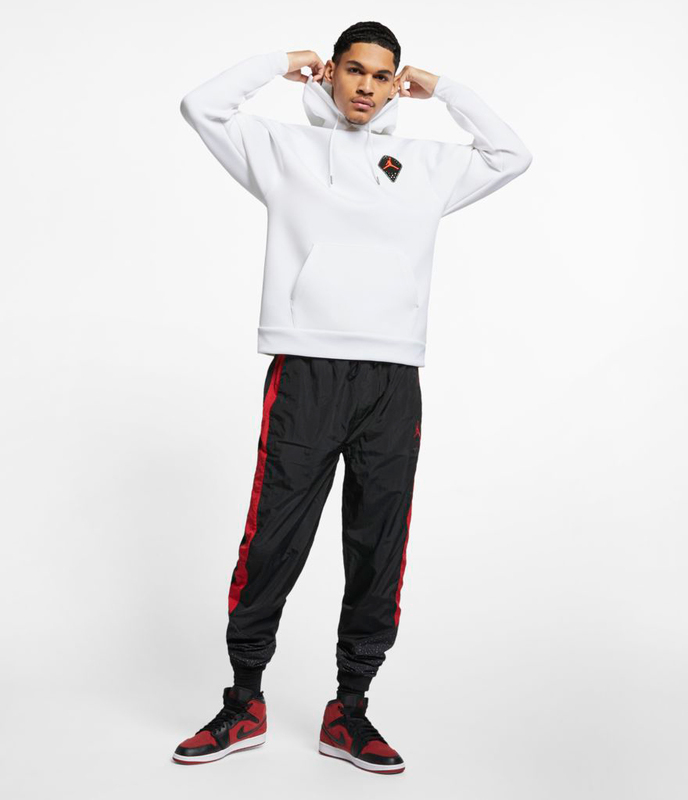 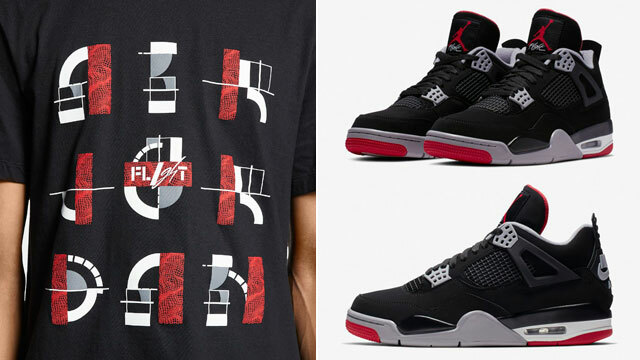 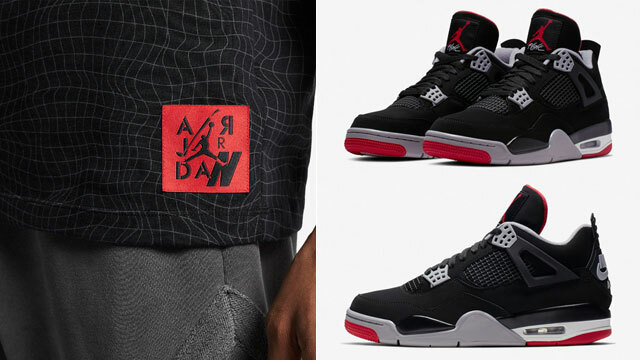 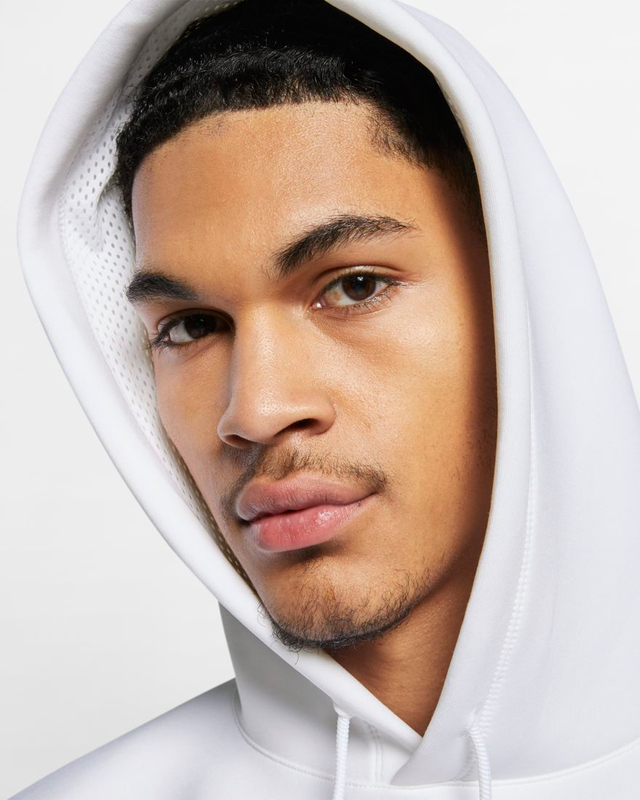 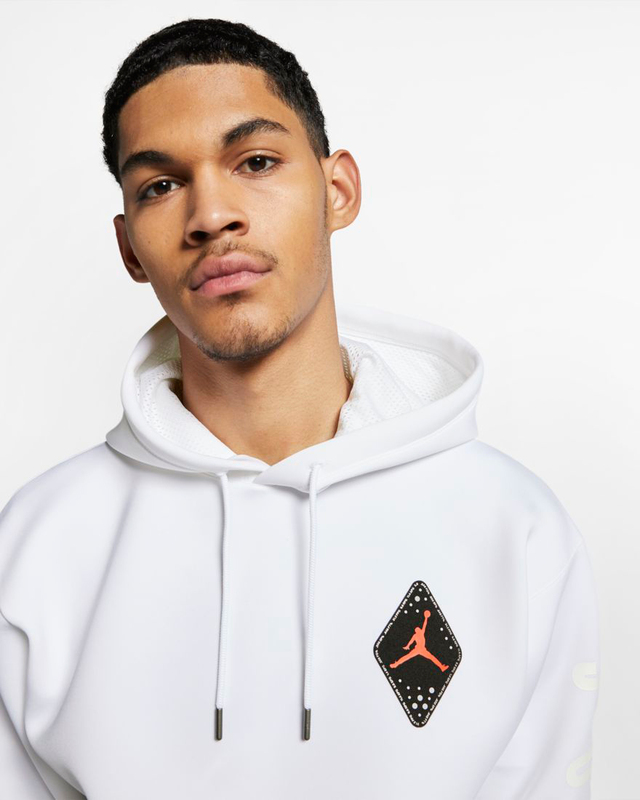 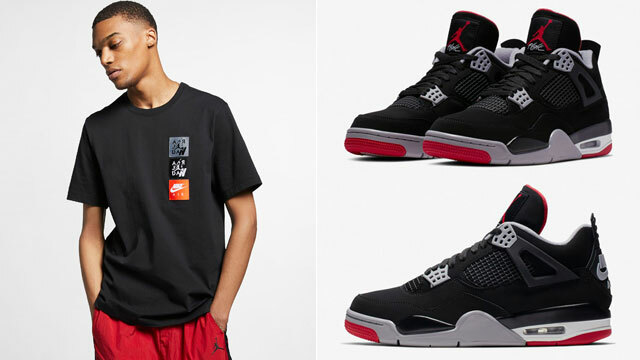 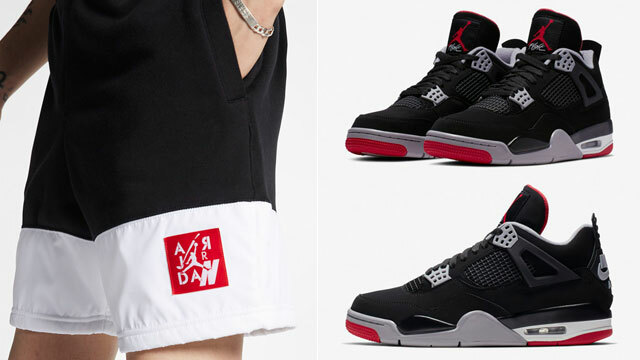 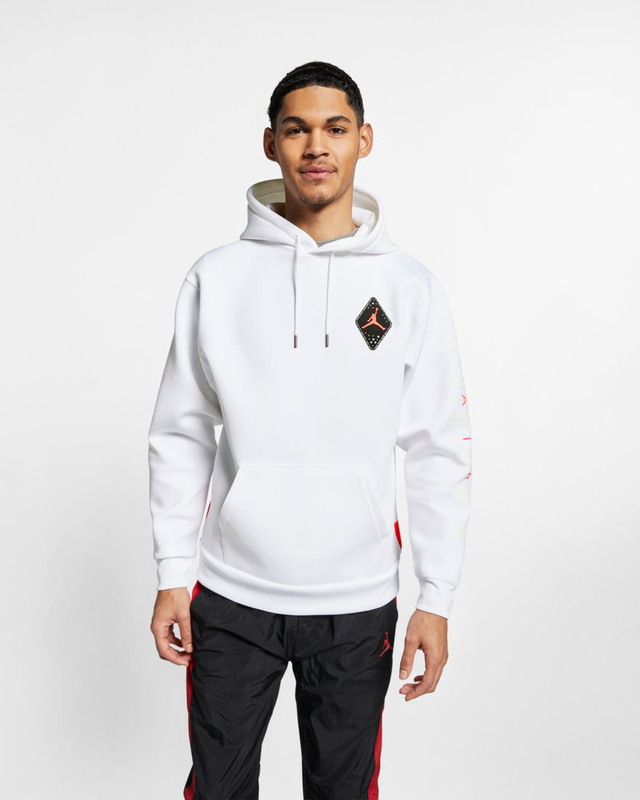 Part of the new Air Jordan 6 “Infrared” 2019 Collection which also includes tees, long-sleeve shirts, pants, shorts, hats, backpack and jacket, this popover hoodie features a Jumpman diamond graphic on the front that’s inspired by details on MJ’s pro uniform, with an Air Jordan wordmark on the sleeve and Nike Air branding on the back. 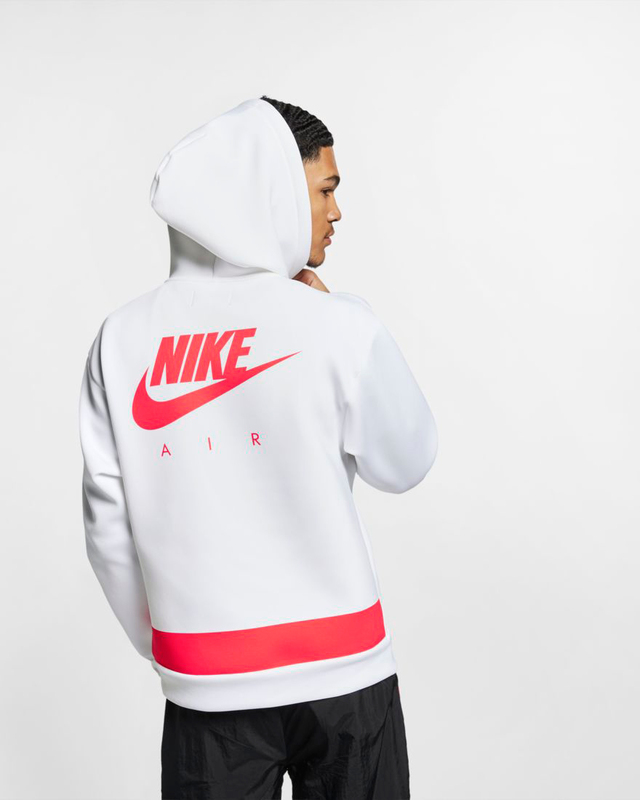 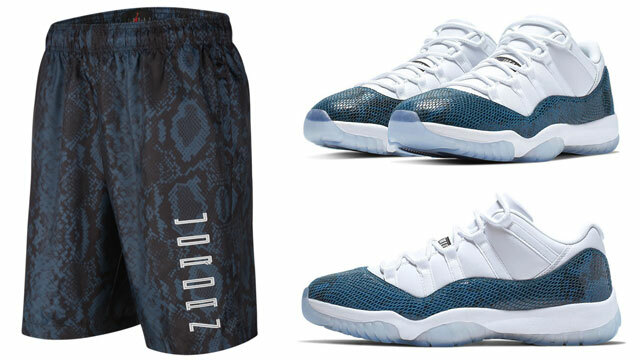 The infrared line on the lower back also adds a nice touch, inspired by the stripe on the shoe’s heel pull piece. 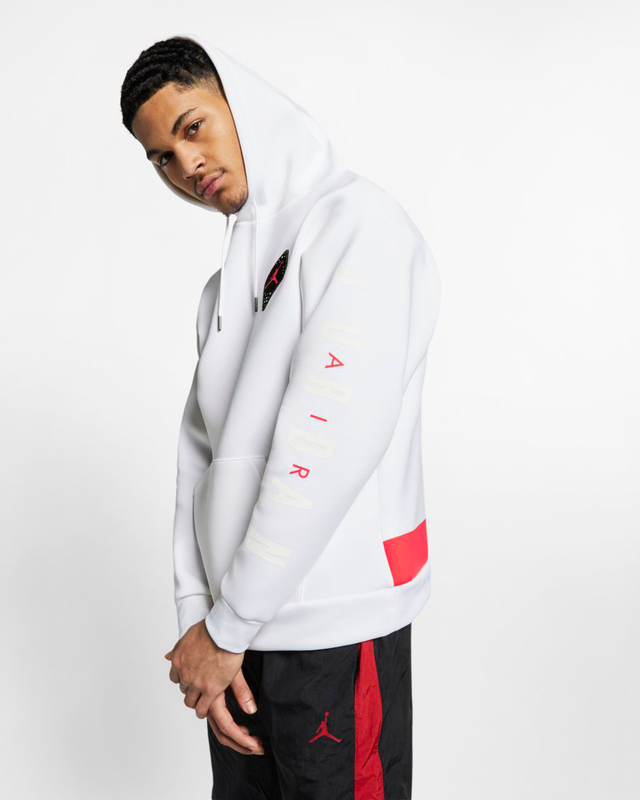 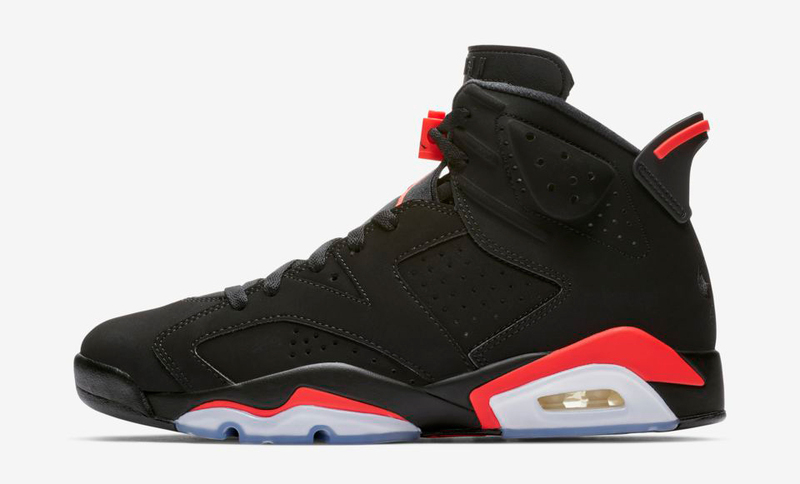 You can hook yourself up with this new AJ 6 hoodie below with the Black/Infrared Air Jordan 6 shoes releasing on Feb. 16th.